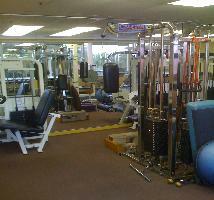 Body By Design's studio is unique in that it offers a private, 1 to 1 setting in individual private training suites. 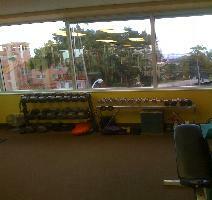 We provide an environment in which you can stay focused and not be distracted. 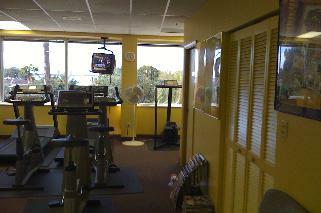 Our private exercise suites allow for uninterrupted and time efficient exercise sessions. Have you ever been blasted by too loud or too tacky music at a larger fitness center? You set the music and volume that most effectively motivates you in your own private, exercise suite. 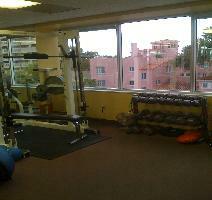 Body By Design is outfitted with three private personal training suites and a semi-private cardiovascular center. Seven different varieties of treadmills, bikes, and ellipticals are available for use to warm up before your session as well as for heart pumping cardiovascular exercise before or after your session. 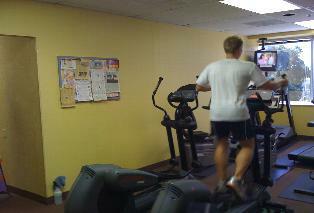 No additional fees or appointment are necessary to make use of our cardiovascular exercise center. This is true even on days without a personal training session. Tired of being in a gym that makes you feel uncomfortable? Do you feel like you can't focus because people seem to be watching you? Or do your workouts ever seem to get interrupted? At Body By Design we want you to feel like you are at home with all the equipment, tools, and a professional trainer to help you achieve your goals. Visit our Contact Us page if you are interested in gathering more information. See our affordable Program Fees page.